LOWER Your Heating COSTS. Corn Flame Multi-Fuel Corn and Wood Pellet Stoves Can CUT YOUR HEATING BILLS BY UP TO 50% OR MORE THIS COMING WINTER! SAVE $100 Off Our Regular Wholesale Price! Our 3000 Model Multi-Fuel Corn and Wood Pellet Stove COMPLETE PACKAGE! To support your 30,000 BTU Multi-Fuel Corn and Wood Pellet Stove, accessorize with either the 3,000 Base or Queen Ann Legs in three different colors: 24 kt Gold, Nickel, or Black. 30,000 BTU Multi-Fuel Corn and Wood Pellet Stove. 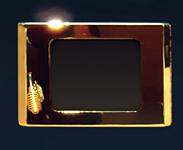 Or opt for 24 kt Gold-Plated Trim or Nickel Trim for a more sophisticated look. your 30,000 BTU Multi-Fuel Corn and Wood Pellet Stove door, including gold.